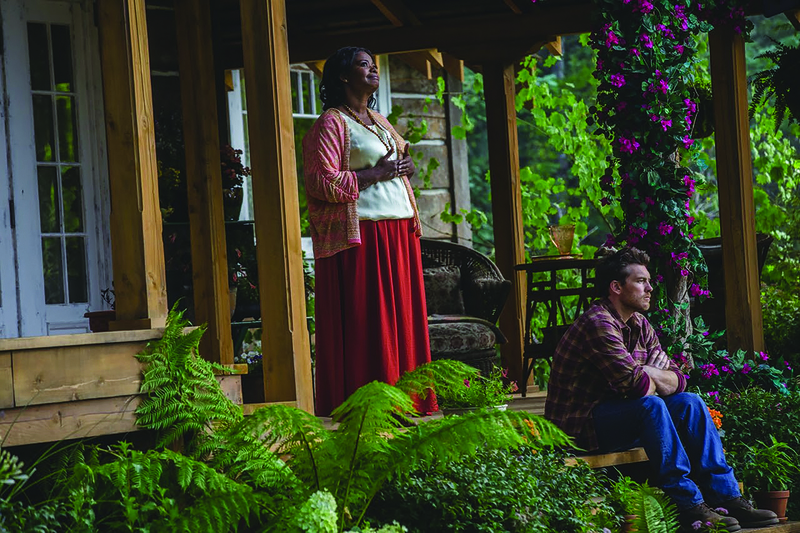 In The Shack, Young portrays all three members of the Trinity in human form. This confuses the doctrine of the incarnation, because Scripture teaches that only Jesus takes on human form. Exactly why Young does this is of course explained by his heretical belief in modalism mentioned earlier. What Papa is claiming is that the world we perceive is merely a construct, very similar to the way it is described in The Matrix (remember the Amazon book review of The Shack I quoted in issue 71), which is saturated in gnostic and New Age concepts. Just how New Age does The Shack have to get before Christians smell the heresy? But this is the consequence of having already bought into Young’s perverse portrayal of the Holy Trinity. Once Young’s version of God has been accepted by the reader, it is much easier for Young to introduce further heresy. Young has the Holy Spirit – the third person of the Holy Trinity – explain to Mack that true reality is that we are all beings of light with varying patterns of colour defining our uniqueness! Mack was not able to see true “reality” until Sarayu healed his eyes so he could see reality (page 208). This is no different to The Matrix where Morpheus gives Neo the red pill to wake him from his unreality and open his eyes to true reality. Once Mack’s eyes had been opened, he could see the “reality” that everything was comprised of light, and how we are all expressed to each other through our senses is really a matter of changing patterns of unique colours. The “greater reality” described by Sarayu of “colour and light” is the New Age philosophy of auras. Auras are believed to be fields of light emanating from human beings, as well as all living things, surrounding them like a bubble. It is claimed that the human aura indicates the true spiritual, physical, and emotional state of a person via the colour, depth, and strength of the aura. Within the New Age Movement it is taught that people have either an innate supernatural or psychic ability to see auras, or the ability can be developed through New Age meditation techniques, clairvoyance and other paranormal activity. Belief in auras is not only an integral part of New Age teaching, but also the occult and witchcraft. How does the Word of God compare to this Gnostic and New Age view of reality? It is clear that the concept of auras cannot be found in the Bible, and the occult practices used in order to see auras are wholly condemned by God as being abhorrent (Leviticus 20:27; Deuteronomy 18:10-13). God, who is the ground of all being, dwells in, around, and through all things – ultimately emerging as the real – and any appearances that mask that reality will fall away. Young’s Trinity is simply modes or “personas” of a being that dwells in all things. This is the heretical New Age doctrine of God being transcendent and immanent. It is the pantheistic belief that God is all and in all. Pantheism derives from the Greek words pan, meaning “all” and theos, meaning “god”. The true Biblical understanding of God’s transcendence and immanence is that He is present in all His creation, while remaining separate and distinct from it. In other words, as God is omnipresent, there is no place where He is not present; God is transcendent in the sense that He exists outside of time and space, and immanent in the sense that he is present within time and space. The Christ spirit dwells in every human being, whether the person knows it or not. “The God who dwells in our inner sanctuary is also the God who dwells in the inner sanctuary of each human being”(page 22). However, the Bible makes very clear that God (in the form of the Holy Spirit) only dwells within those who have repented of their sins and acknowledged Jesus as their Lord and Saviour (John 7:37-39; Acts 2:38). “So you think that God must relate inside a hierarchy like you do. But we do not… Papa is as much submitted to me as I am to him, or Sarayu to me, or Papa to her. Submission is not about authority and it is not obedience; it is all about relationships of love and respect. In fact, we are submitted to you in the same way” (page 124). Is there anywhere in Scripture where God expresses a desire to be submitted to an individual human being? Regarding the relationship between the three persons of the Godhead, the Bible teaches that all three members of the Trinity are equal in nature while there also exists an economy, or hierarchy, within the Trinity. It describes the relationship of the members of the Godhead with each other, and this relationship serves as a model for us. The Father is the head. This is demonstrated in that the Father sent the Son. The Son did not send the Father (John 6:44, 8:18, 10:36). The Son also is the one who sends the Holy Spirit (John 16:7). Jesus came down from heaven, not to do His own will, but the will of the Father (John 6:38). The Father is the head of Christ (1 Corinthians 11:3). 1 Corinthians 15:27-28 speaks of creation being in subjection to Jesus, and then in verse 28, Jesus will be subjected to the Father. The Greek word for “will be subjected” is hupotagasetai, which is the future passive indicative, meaning it is a future event where Jesus will forever be subjected to the Father. These passages teach that there is indeed a hierarchy within the Trinity in which all three members are equal in nature, yet the principle of headship and submission is perfectly displayed in the Trinity. This critical theological principle is incorrectly taught and dangerously distorted in The Shack. How does Young’s blasphemous description of the Holy Trinity provide anyone with a deeper understanding of the God of the Bible? Young’s portrayal of God is so wide of the mark that it is no better than me trying to give someone a deeper understanding of my wife by describing (boxer) Frank Bruno! No, using the picture of Frank Bruno would not give anyone a deeper understanding of my wife, but yes, my wife would be very offended by my portrayal. How do you think God feels about Young’s portrayal of Him? Every Christian who claims The Shack has given them a deeper understanding of God would be admonished by Paul in exactly the same way. 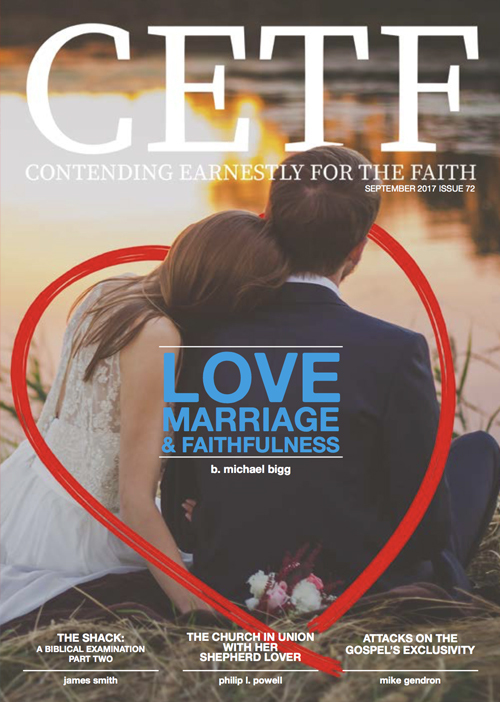 Bearing in mind Young’s false teaching that there is no hierarchy within the Trinity, it is perhaps not surprising that Papa calls hierarchies in relationships, including marriage, “such a waste!” (page 122). 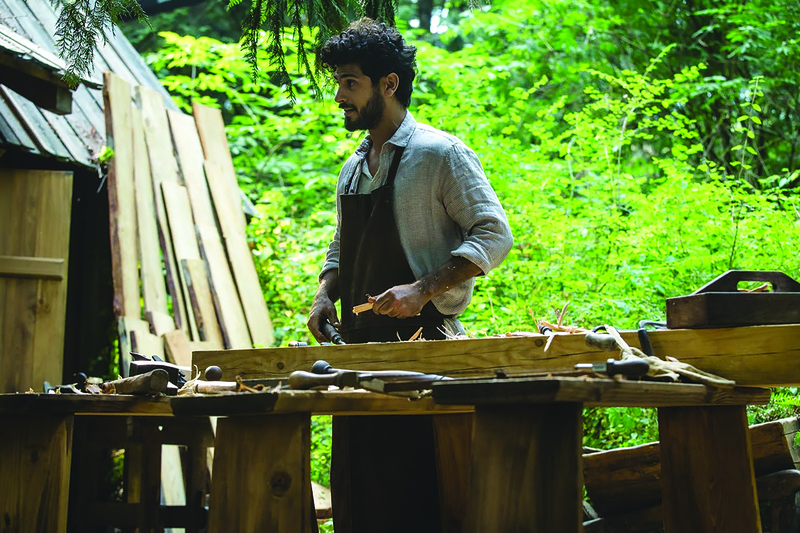 In The Shack, Young definitely tries to defend himself against the accusation of misrepresenting God by implying that having a relationship with God is far more important than having a correct doctrine about God. The importance of doctrine is without doubt subtly ridiculed and undermined by Young in The Shack; God’s Word is not treated as the standard of truth, but instead subjective experience of God is promoted as being all-important. It is not possible to have a relationship with God that is not based in truth. In order to have a meaningful relationship with God, one must understand the true nature and character of God. Truth is rooted in the very nature of God (John 14:6). A relationship with God comes through responding to the truths revealed in His Word. Thus, a believer must grow in his relationship with God through an intimate fellowship with the Lord Jesus Christ as well as growing in our understanding of the Word of God. till we all come to the unity of the faith and of the knowledge of the Son of God, to a perfect man, to the measure of the stature of the fullness of Christ. We must have both heart and mind. In fact, Jesus commanded Christians in Matthew 22:37 to “Love the Lord with all your heart, with all your soul, and with all your mind”. Deceit is in the heart of those who devise evil. Deceit is in the heart of those who devise the absence of good! Satan is the personification of evil, but Jesus says God is good (Luke 18:19). God is good by nature and we do not need evil to know what good is, because we have God’s perfect goodness to inform us. “I must add, though, that I don’t believe making disciples must equal making adherents to the Christian religion. It may be advisable in many (not all!) circumstances to help people become followers of Jesus and remain within their Buddhist, Hindu, or Jewish contexts” (page 293). “Not at all. . . . Most roads don’t lead anywhere. What it does mean is that I will travel any road to find you” (page 182). And what does the Jesus of The Shack mean when he says, “I will travel any road to find you”? He appears to imply that Jesus will reveal Himself to people irrespective of the road they are on or religion they follow. The Jesus of The Shack does not ask them to leave that road and follow the narrow path of salvation. If the Jesus of The Shack was the Jesus of the Bible, He most certainly would desire to make everyone Christians, and to do so by following the narrow path of salvation, because based on His declaration that He is the way, the truth and the life and no one comes to the Father except through Him (John 14:6), He gave His disciples the Great Commission to “make disciples of all the nations” (Matthew 28:19). This command to make disciples includes Jehovah’s Witnesses, who believe Jesus is the archangel Michael. It includes Mormons, who believe Jesus is the spirit half-brother of Satan. It includes Muslims, who believe Jesus is not the Son of God and did not die on the cross for our sins. It includes Buddhists, who believe Jesus is not the Christ, but merely had the “Christ consciousness”. They all need to become Christians by being disciples of the One True Jesus; a Jesus very different to the one found in The Shack. Jehovah’s Witnesses, Mormons, Muslims and Buddhists do not believe in Peter’s declaration about Jesus, but they need to in order to be saved. Yet the Jesus of The Shack has “no desire to make them Christians”! may conclude that one particular way is the best way. Before the term “Christian” was coined to describe the rst century followers of Jesus (in Acts 11:26), they were called followers of “the Way” (e.g. Acts 9:2). The claim of exclusivity by those following the Christian faith was known right from the beginning; it was not known as the best way; it was known as the Way; the only way. “Through his death and resurrection, I am now fully reconciled to the world” (page 191-192). Mack is confused and asks if the whole world has been reconciled or only those who believe. Papa responds by saying reconciliation is not dependent upon faith in Christ: “The whole world, Mack. All I am telling you is that reconciliation is a two-way street, and I have done my part, totally, completely, finally. It is not the nature of love to force a relationship but it is the nature of love to open the way” (page 192). In 2004, [Young] prepared and released a 103-page document for our M3 forum in which he rejected his ‘evangelical paradigm’ and embraced universal reconciliation. He has never renounced the particulars of universal reconciliation, [and] refuses to say that other world religions are in error in their assessment of Jesus as the unique Son of God. “I’ve never placed an expectation on you or anyone else” (page 206). The Bible is full of what God expects from both the unregenerate and regenerate. For example, He expects the unregenerate to repent and believe on Him for salvation, and He expects the regenerate take up their cross, to be holy, as He is Holy, and to bear fruit; to love the Lord with all their heart, with all their soul, and with all their mind. In reality, there is so much God expects that a whole article could be written on that subject alone. God made Jesus, who knew no sin, to be sin, so that we might be made righteous in the sight of God (2 Corinthians 5:21). Jesus came to earth two thousand years ago to die in our place and take our punishment for our sin. Why did Jesus do this for us? Because God’s Law states there can be no remission from sin without the shedding of blood (Hebrews 9:22), and the shedding of our own blood is insuf cient. Why? Because only innocent blood will do and all of us have sinned and fallen short of the Glory of God (Romans 3:23). Jesus is coming again to judge and punish the sins of all who have refused His perfect sacri ce and gi of eternal life (see Matthew 16:27; John 5:22-23; Acts 10:42; 2 Timothy 4:1; 2 Corinthians 5:10). The Jesus of The Shack is openly denying the need for Him to go to the cross and pay the price for the sins of the world. The Jesus of The Shack is not the Jesus of the Bible. It should not take a theologian to spot that. Whilst William P. Young is the of cial author of The Shack, his close friend and associate, Wayne Jacobsen was responsible for moulding Young’s material into its nal dra , and formed the company that was later to publish it. If someone is happy to jettison Biblical truth suf ciently enough to accept The Shack as being “Christian”, they are unlikely to be very bothered about who Jacobsen is, and what he believes. But nevertheless I think it is important to mention this. On Jacobson’s website, LifeStream, he provides a list of “favourite reading” that has shaped his doctrine and spiritual journey, the authors of which could be described as New Age in their leanings to say the least. The list includes both contemplative and Emergent Church authors. The Shack has proven to be extremely popular with the Emergent Church, because much of what Young teaches in his novel is an outworking of Emergent thought and doctrine. The Shack has touched the hearts and emotions of millions of Christians. However, the emotionally charged story that William P. Young unfolds through the pages of The Shack is merely a Trojan horse in which he hides dreadful heresies that deny the very foundational doctrines of the Christian faith; the warm and cuddly emotional feeling Young is able to create from the story is in reality a deliberate and devilish way of getting the reader to disengage their God-given brains when discerning whether or not The Shack is truly a “Christian” book; and look at how successful he has been in doing that! ...holding fast the faithful word as he has been taught, that he may be able, by sound doctrine, both to exhort and convict those who contradict. For the millions of Christians who believe The Shack has provided a deeper understanding of who God is, that is exactly what they have done: they have followed “cunningly devised fables”. How has William P. Young described God in a way that has given Christians a deeper understanding of who He is? How can he have achieved that by contradicting the Word of God and slandering His very nature? 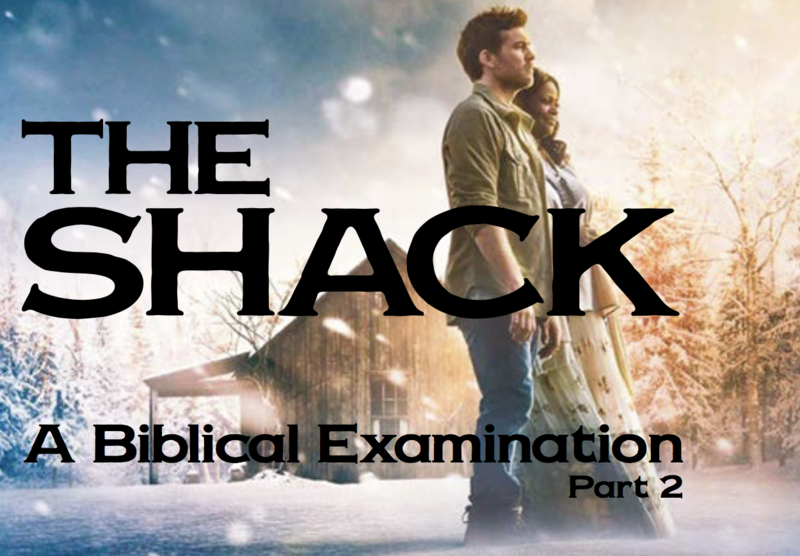 The Shack should never have been sold in Christian bookstores, and the new film version will only extend to the unsaved masses the influence of The Shack’s heretical gospel, and further pollute the world’s understanding of the true Christian gospel; what hope do non-Christians have when The Shack has already seduced and deceived millions of Christians into thinking it has helped them gain a better understanding of God?! The word used for “dwelt” in Greek means “tabernacle”; He came into the world and tabernacled with us. In The Shack, William P. Young has a distorted and blasphemous Trinity tabernacle with Mack, not to tell him Biblical truth, but to convince him (and the reader) of devilish and heretical lies; sugar-coated poison. The Shack is not the tabernacle of truth so many Christians claim. It is a derelict and hopeless hut of heresy that needs to be condemned and destroyed.